What’s the recipe for a successful organization? It starts with a great team that is dedicated to serving your customers. You might say it’s the secret sauce. 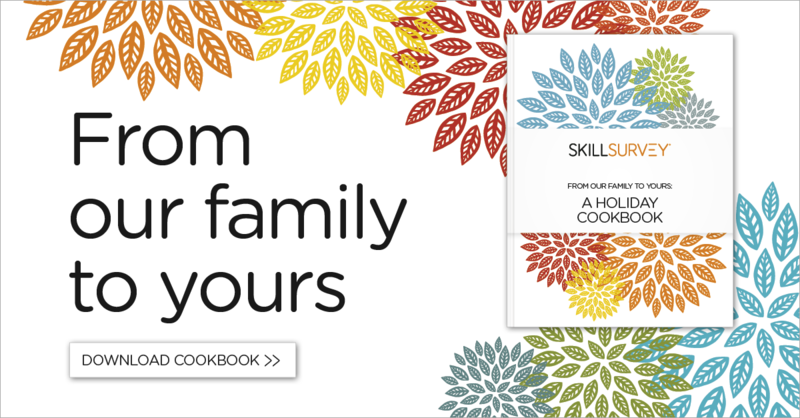 This holiday season, the SkillSurvey team is proud to share their favorite recipes for you to enjoy.